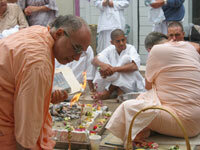 Srila Govinda Maharaj starts the ceremony at 8a.m. 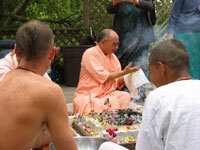 All initiates are attentive to receive the mantra. 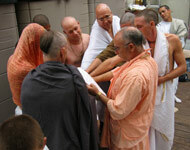 At 11a.m. 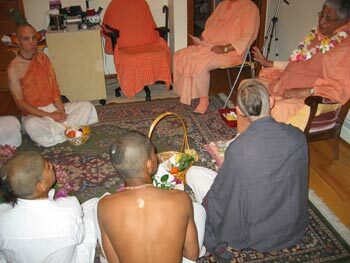 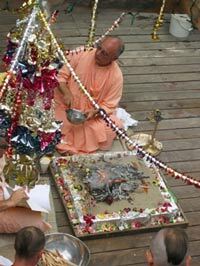 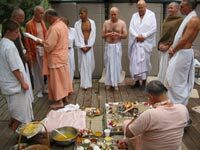 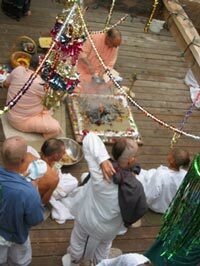 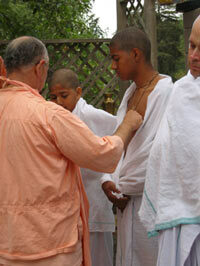 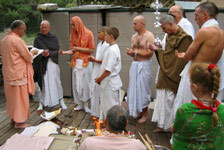 Sripad Janardan Maharaj conducts the yagna.